REDONDO BEACH — During this year’s Coastal Cleanup Day Sept. 17, more than 591,000 pounds of trash and recyclable material were removed from California’s coast — and for the first time, boaters got a chance to participate in boater-specific cleanups. 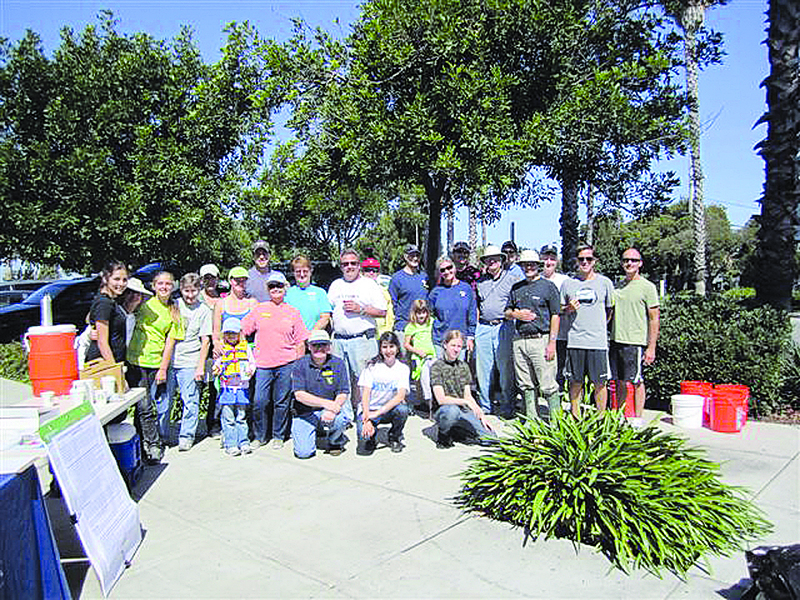 The event, sponsored by the California Coastal Commission, is one of the largest cleanup events in the country. It features numerous sites up and down the coast where volunteers register, collect trash and weigh in the amount of debris accounted for at each location. While boaters were invited to participate at the beach events, underwater dive sites and kayaking venues as in previous years, Vivian Matuk, Environmental Boating Program coordinator for the California Coastal Commission and the California Department of Boating and Waterways, decided to test boater-focused cleanup opportunities this year. Matuk tested two pilot programs — at Port Royal Yacht Club in Redondo Beach and Sequoia Yacht Club in San Mateo County — to get boaters more involved in the cleanup. “It went great, and we were really pleased with the program,” Matuk said. During the event, yacht club members used their boats and dinghies to remove waterborne trash and litter. The two clubs tested extended poles, trash skimmers and other items for trash removal, to figure out what items worked best.